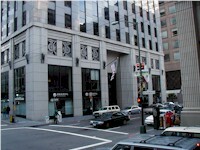 505 Montgomery Street. November 2000. The California Headquarters of the Hudson's Bay Company was opened here in 1841. Today an office building occupies the site. 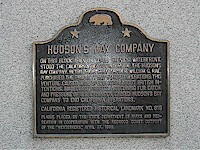 The marker plaque is located on the north site of the building on Commercial Street.